On 15 December, SUNFRAIL was presented by Prof. Marcello Maggio at the ADVANTAGE-JA (Joint Action on prevention of frailty) National Workshop in Rome. The workshop was organised in cooperation with the Italian Ministry of Health and the Health Commission of the Italian Committee of the Regions. It was attended by high profile experts of the Ministry of Health, of the Italian Regions, the Universities and the Health Care Providers and Agenas. The meeting aimed at creating awareness regarding the activities of the JA and its preliminary results. Most of all, it represented an opportunity for discussing the state-of-the-art of the “frailty-challenge” in Italy: its dimension and characteristics, the current and the future strategies to address it. The President of the Marche Region highlighted the importance of reforming modern health systems to face the new needs of older people, through the adoption of innovative approaches for the provision of services. In this respect, he stressed the relevance of initiatives like ADVANTAGE-JA for the innovation and sustainability of the health and social care systems. SUNFRAIL, and other European initiatives related to frailty and chronic diseases, where Italy is involved, were presented, underling the importance of networking and cooperating. Only by working together at national and European level, the health and care systems can tackle the trajectory of disability, developing an effective proactive medicine approach and giving older people the chance to live longer, healthier and independently. The event was well attended and received a good coverage in the national media, also thanks to the support of the ProMis Initiative, the programme managed by the Ministry of Health for promoting the Internationalization of the National Health System. ProMis involvement ensures that the relevant information and inputs from the JA will be thoroughly disseminated through all the Italian Regions. This is of paramount importance as the Italian Healthy System is highly decentralized and the successful exploitation of JA findings will require their customization at a regional and local level. 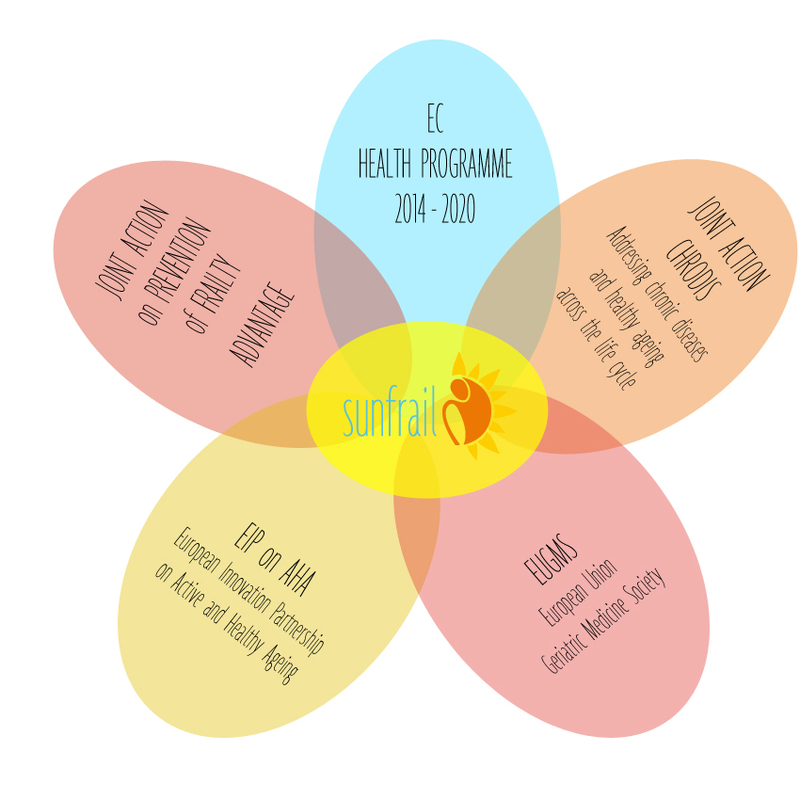 To read more about SUNFRAIL synergies with other projects, please see here. For more information about Joint Action Advantage, please see here.